The winner of the 2019 Vanderbilt Prize will be announced in February 2019. Vanderbilt Prize winners are women who have made significant contributions to the science of medicine. At Vanderbilt, we believe that for society to benefit from biomedical research, we must engage women in basic and clinical investigation, nurture their careers, and attract the most capable individuals. We created the Vanderbilt Prize in Biomedical Science to honor and recognize a woman scientist of national reputation who has a stellar record of research accomplishments and is known for her mentorship of women in science. The Vanderbilt Prize winner also nurtures the career, research, and studies of a promising woman beginning her PhD studies at Vanderbilt, the Vanderbilt Prize Student Scholar. The prize recipient gives a lecture at Vanderbilt, will serve as a mentor to the Vanderbilt Prize Scholar, and receives an honorarium. Nominees for the Vanderbilt Prize must be women scientists in any area of basic or clinical research or clinical practice. The nominee must have a national reputation, a stellar record of research accomplishments, and must be an active mentor of other women in science. We encourage nominators to consider women of underrepresented populations when selecting a nominee. Nominations are not currently being accepted. If you have any questions, please contact Anna Haase at anna-sofia.haase@vumc.org or at (615) 875-7529. 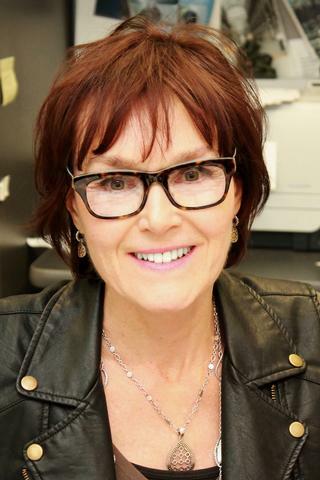 Congratulations to the 2018 recipient of the Vanderbilt Prize in Biomedical Science, Dr. Angelika Amon! 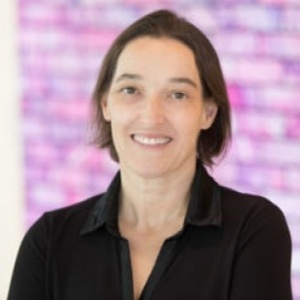 Angelika Amon, Ph.D., is the Kathleen and Curtis Marble Professor in Cancer Research and professor of Biology at the Massachusetts Institute of Technology (MIT) in Cambridge, Massachusetts, and a member of MIT's Koch Institute for Integrative Cancer Research. She also is a Howard Hughes Medical Institute investigator. Read her full bio here. Dr. Amon will visit Vanderbilt and deliver a Flexner Discovery Lecture as she accepts the Vanderbilt Prize on January 31, 2019. Dr. Maquat will deliver the Vanderbilt Prize lecture as a part of the Flexner Discovery Lecture Series on November 29, 2018 at 4 p.m. in 208 Light Hall. See a video of Dr. Fuchs' Vanderbilt Prize lecture, Stem Cells in Science, Action, and Cancer, as a part of the Flexner Discovery Lecture Series held on March 30, 2017, at 4 p.m. in 208 Light Hall. See a video of Dr. Zoghbi's Vanderbilt Prize lecture "The Story of Rett Syndrome and the Insight it Provides into Neuropsychiatric Disorders," as a part of the Flexner Discovery Lecture Series held on April 21, 2016, at 4 p.m. in 208 Light Hall. See a video of Dr. Lindquist's Vanderbilt Prize lecture "From Yeast to Human Stem Cells: A Powerful Discovery Platform For Combatting Neurodegenerative Diseases," as part of the Flexner Discovery Lecture Series held on November 19, 2015, at 4 p.m. in 208 Light Hall. Dr. Lindquist died of cancer in October 2016. See a video of Dr. Glimcher's Vanderbilt Prize Lecture "ER Stress Sensors in Disease," as part of the Flexner Discovery Lecture Series held on Thursday, May 1 at 4 p.m. in 208 Light Hall. Dr. Glimcher is now president and CEO of the Dana-Farber Cancer Institute. See a video of Dr. Steitz's Vanderbilt Prize Lecture titled "Noncoding RNAs: with a viral twist," held on May 2, 2013, at 4 p.m. in 208 Light Hall, as part of the Flexner Discovery Lecture Series. See a video of Dr. de Lange's Vanderbilt Prize Lecture titled "How telomeres solve the end-protection problem" held on February 23, 2012 at 4 p.m. in 208 Light Hall, as part of the Discovery Lecture Series. See a video of Dr. Andrew's Vanderbilt Prize Lecture on "Forging an Understanding of Iron Homeostasis" held on March 31, 2011, at 4:00 p.m., in 208 Light Hall, as part of the Discovery Lecture Series. See a video of Dr. Taylor's Vanderbilt Prize Lecture on "Dynamics of Signaling by PKA" held on February 18, 2010, at 4:00 p.m., in 208 Light Hall, as part of the Discovery Lecture Series. See a video of Dr. Graybiel's Vanderbilt Prize Lecture on "Our Habitual Lives: How the Brain Makes and Breaks Habits" held on October 30, 2008, at 4:00 p.m., in 208 Light Hall, as part of the Discovery Lecture Series. See a video of Dr. Blackburn's presentation on Telomeres and Telomerase in Health and Disease in the Discovery Lecture Series on January 10, 2008. See a video of Dr. Andreasen's presentation on The Creative Brain: The Neuroscience of Genius in the Discovery Lecture Series on September 28, 2006. "When no one noticed, you saw me struggling. You could have passed, but did not. Your encouragement and your example convinced me to excel. Your steadfast faith in me compelled me to succeed. And if by chance I did not, you would still be there for me. It is good to have someone like you in my life." If you have any questions, please contact Anna Haase (anna-sofia.haase@vumc.org or 615-875-7529). What is the Vanderbilt Prize Student Scholar? View the eligibility requirements, and nominations and selection process.